According to Deemer's list Mark Ross was born Feb. 27, 1945 and had addresses in New York and the now well known 28 Clubhouse Dr. Venice CA address where John "Zero" Haught died. 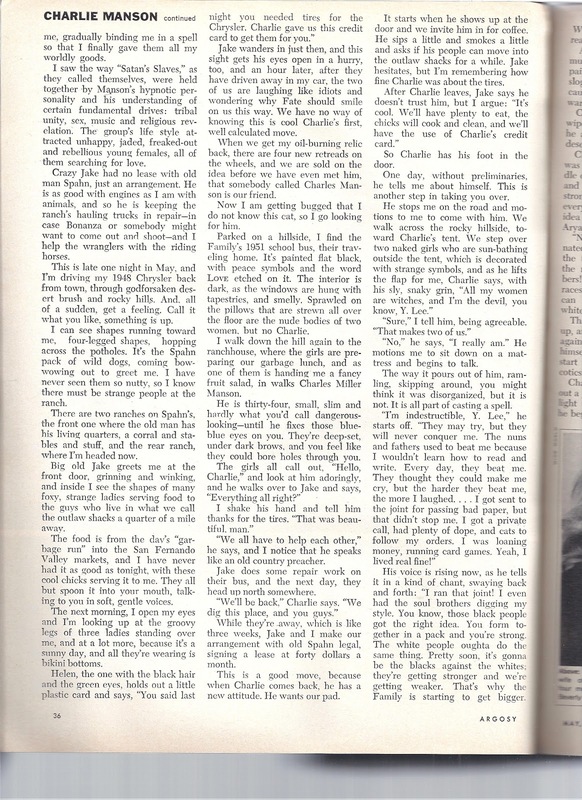 According to the article below the way Ross, aka Y L Freeman, tells it, he was living at Spahn Ranch in 1968 in the house at the back ranch with John aka Crazy Jake. 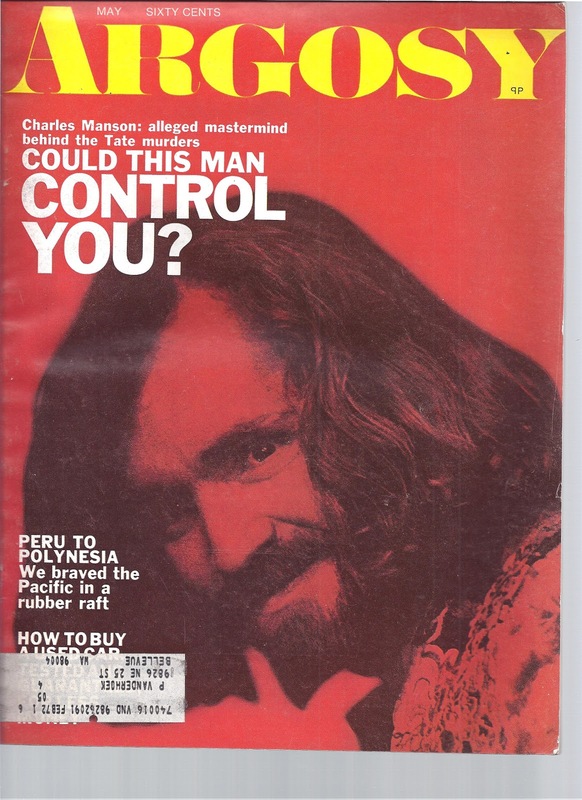 His story in Argosy is at odds with what Paul Watkins wrote in "My Life With Charles Manson" chapter 23, which says that when Paul came back to the Family after Manson was arrested in Inyo County that Ross was a newcomer to the Family. 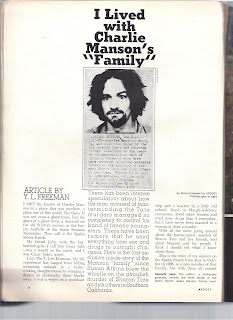 Some sources say that it was Ross who arranged for Laurence Merrick and Robert Hendrickson to film the Family for the movie "Manson". I'm not sure if that is true. First of all Crazy Jake in the Argosy story is not really Crazy Jake but Irwin Kaufman Friedman aka Johnny Friedman and later Partee Friedman the masked man on Geraldo's Family reunion show. Friedman was originally from New York, he was an artist, travelled extensively, also married extensively and begat lots of children. He and his second wife, Patricia aka Holly, raised Ivan Pugh, Sandra Good's son with Beausoleil. Partee Irwin Friedman died in Sonoma County CA Sept. 30, 2008 after living for many years in the Guerneville area, the same area where James Willett was killed in 1972. 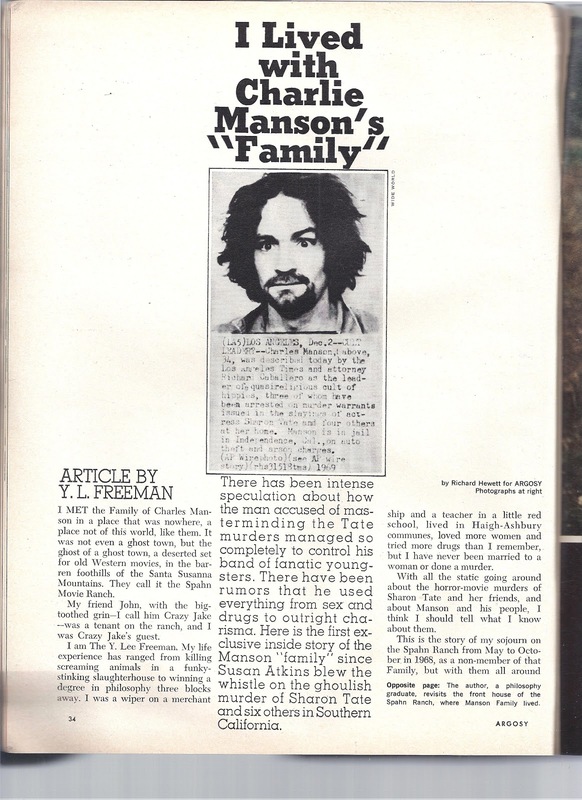 So, I think that what Mark Ross aka Y Lee Freeman is relating in the Argosy article is actually mostly Irwin/Johnny/ Partee Friedman's story and that Mark Ross was never at Spahn before Manson was jailed. I also think that Mark Ross was not his true name. I've never been able to find a Mark Ross born Feb. 27, 1947 but I was able to find a Mark Rosen born on that date in Los Angeles. Doing some checking I found that this Mark Rosen has an alias of Mark Ross and has lived in Los Angeles and Ventura counties. He no longer lives in California. If it is true that Mark Ross is not really Mark Ross it raises other questions for me, like why? And does he have more of an involvement in Zero's death than what is currently known? What the hell else has he done to skew the Family history? 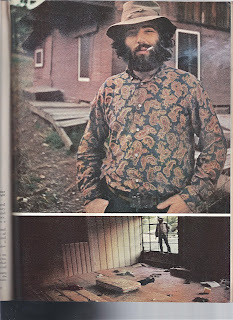 Did this guy only own one shirt, or was this just his 'dress' shirt he used for photographs? It IS pretty snappy, but regardless... it really doesn't help cure my prejudices about hippies being dirty smelly filthy-clothed nogoodniks. There may be a bit of cross information regarding Y. Lee (wily: def – CRAFTY) Freeman (very clever) and Mark Ross. Y. Lee is likely the person in the ‘Argosy’ photographs. I assumed the Mark Ross name as being somewhat credible since the handgun used in Haught’s suicide was known to be registered to Ross since 1966, according to the police report. One of the girls said that Haught spun the cylinder, and shot himself with the Iver Johnson Cadet. I’m no expert on guns, but does anyone know if a person can even ‘spin’ the cylinder on that type of weapon? Isn’t it a ‘Top Break’ type cylinder? Farf I think what your saying is that you do not believe that the person pictured in the Argosy article is who we know as Mark Ross, that he is a different person who has the same penchant for paisley shirts and stupid looking hats. I respectfully disagree. 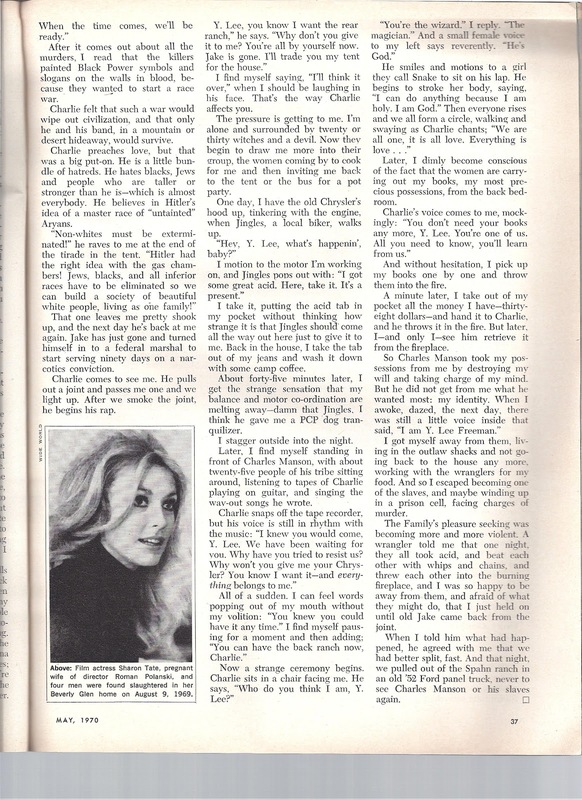 It's not the first time that I've been told that the person in the Argosy article isn't Mark Ross and I think that is because Ross was not known to be anywhere near the Family from May to October 1968. I think the person pictured is Ross spouting someone else's story. I do think that Mark Ross could have been Mark Rosen born in LA 2-27-45 and Christianized his name, perhaps legally, but changed it back after he'd gotten the Family taint all over himself. as usual, you bring up the most interesting stuff, Deb. Since Gypsy has shown a willingness to talk over the past couple of decades it would seem she would be the one to try and talk to about Ross since she is pictured with him. Does anyone in the TLB community have a direct line to Gypsy? Wouldn't that just be the balls to have an anonymous source who was a verified Family member to run these type questions by. It's a damn shame both TJ and Paul Watkins are gone as they probably would have been cooperative. Come on Matt, put Gypsy or Cappy on retainer. it is amazing though, isn't it, that 44 years after the event none of the Family core members seem willing to be up front and on the record about events nearly a half century ago. 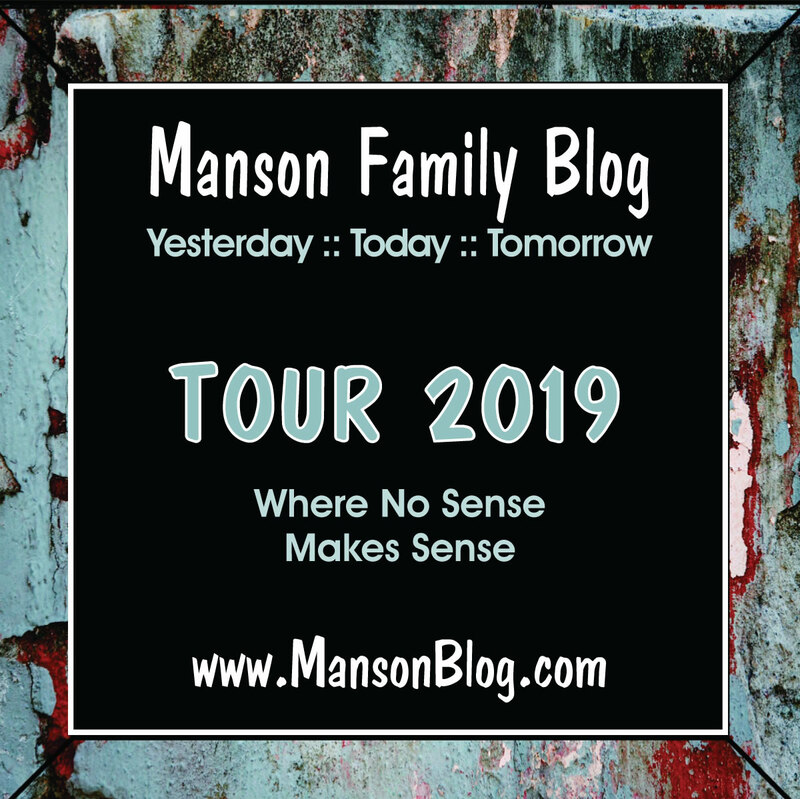 You have to wonder how different that might be if Manson were dead. Yeah, I know Tex and Sadie and Squeaky and Watkins wrote their books but I am talking about legit Family members answering direct questions. I rub the genie bottle every night hoping there is something on the Tex Tapes that will get the likes of Pitman and Brunner etc under the lights once more just for history sake. I commend Gypsy for being a normal women. She looks great, and is profiting off her past, which is something Id like to do. BUT... she continues to not own up to her willingness in the family and better yet.. her complete criminal past. The family never forced her to yell in court, the time she got contempt of court. She followed Como during the Hawthorne shootout. Then after she was released, she got herself into a credit card scam. Nancys working as a consultant on the Manson girl film, but Im sure theres a reason why shes not talking. that's news to me Lauren. Which Girls film, the Sappho slanted one? I can't see her doing that. Must be the other one. 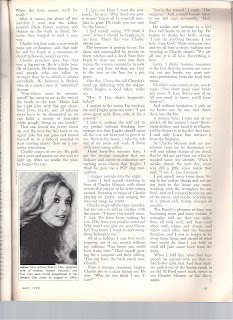 Leary, Patty remembers the Colonel saying that Nancy was Susanna Lo's "consultant." You can probably find it over there if you dig a little bit, it was in late 2010 if Patty's memory serves her well. the Col talks to Nancy??? Now that is what I call interesting info. Has he expanded on that in any of his threads? thanks for clearing that up for us, col.
Hi, it sounds like you are really good at research. What do you think about the fact that there is no record of Zero dying, according to the Social Security Death Index? Gina I am not sure why some deceased people are not listed in the Social Security Death Index. Zero is not the only person that I have run across that is not listed. Sometimes a person is listed but in such a way that they are difficult to find. 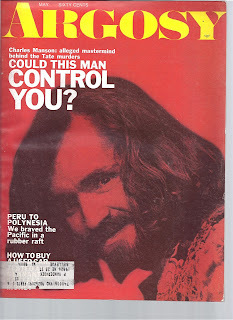 An example would be Rosalie and Charles Manson's son, Charles Manson Jr. 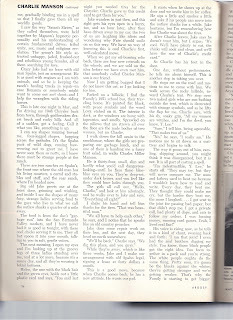 He changed his name to Charles Jay White to begin with but for some reason he is listed in the SSDI as CJ White. 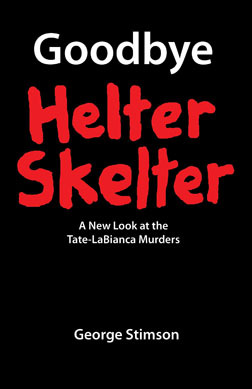 I have eight victims on my website that were killed in 1972 and 1973. Their murders are unsolved. One victim was never found, nor declared dead and one victim is a Jane Doe so you would not expect not find either of them in the SSDI. But none of the other six victims are listed in the SSDI either. So as I said it's not unusual. John Phillip Haught is listed in the California Death Index and the record even gives his SSN. 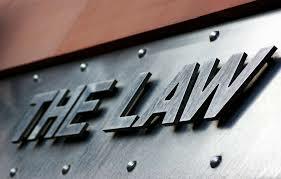 It wasn't unusual for adults not to have ss #'s till much later in life.If you worked for county or state gov.agencies you paid no ss tax then or under the table.Half the states had no photo license and auto insurance wasn't mandatory in most states. I self insured with a bond. That is definitely the back ranch building in the mag photo. I don't recognize the photo in the room unless that's the western prop bldg. That back ranch became an after hours or illegal bar around Sept 1968 and the Family got kicked off by Ruby Pearl when the Sheriff found out. The cadet was a solid frame snubnose that was extremely popular as a bootgun in California.In 1968 you could buy newer handguns across state lines. Ross was lucky he wasn't poisoned and buried. Everyone in Chatsworth saw the Family as dumpster diving devils on LSD.Down the White Rabbit Hole!.....Feed your head and wake up dead!